I am writing this Blog from Morocco, the country of birth for my father-in-law, Simon Roffe. We are on a family heritage trip, long the dream of my husband David. As the family historical, I wrote his family history years ago. It is nice to see the place I was told about in family interviews. Yesterday we visited the old cemetery. Hidden behind nondescript doors was a huge cemetery and we easily found the grave of my husband’s grandfather David Roffe. The stones were so close together one could barely walk. Also there was no order to the burials. The caretakers, cleaned off the grave and we would see that our family patriarch was ok. It was a terrific family moment. In the evening, my husband went to a nearby synagogue. It was in an apartment building and they had mincha and arbit services. There are about 25 small synagogues in the city with less than 2000 Jewish people. The King here is committed to keeping the synagogues open at his own expense. The Moroccans have a 2000 year old belief here that Jews have ‘baracha’, that we are blessed, lucky because why else would we be so successful as a people. Hence there is a reverence for the Jews and the locals are very respectful of us. 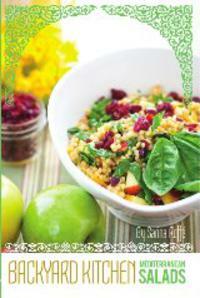 the process and sharing it with my readers and with recipes we select for the Sarina’s Sephardic Cuisine cooking app. So far I have seen wonderful fish and chicken stews made in the tagines, the slow cooking brings out the flavor and softens everything to a delightful texture. market and the store sold everything else, clothes, household equipment, washing machines, you name it. Food that needs to be weighed has to be weighed in the store and brought to the cashier with the ticket. The cashiers here do not pack anything for you. They sit in a chair to ring your items and you must bag your items yourself. It is Ramadan and the Muslims in the country no not eat from 4 am until 8 pm and then breakfast is served. So the restaurants do not open until very late. As such, we must not eat in public to be respectful of them. Still there are amazing open air markets, where fruit and vegetables are sold from wagons and trucks or on tables that line the streets. This is how the native Moroccans live. Check out the photos we post.